Calling all confidently beautiful Bicolanas and Bicolanos who are 16 years old and above! 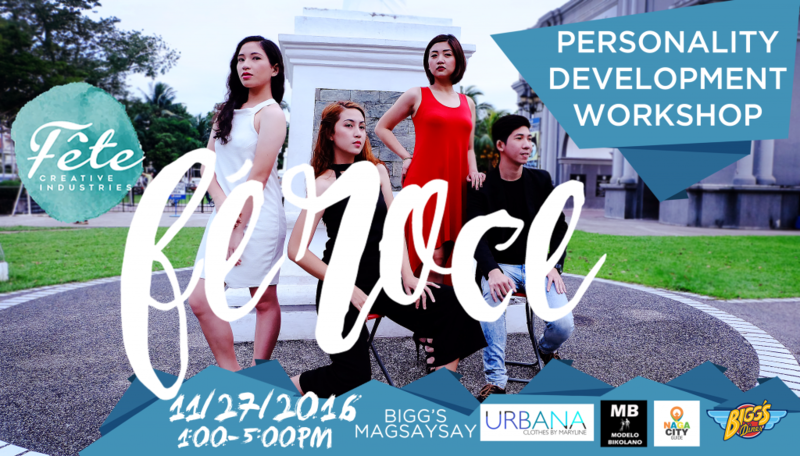 Let URBANA and Modelo Bikolano help you learn the basics of styling, modelling and social etiquette when you join FÉROCE: Personality Development Workshop. Channel your inner Pia Wurtzbach, Kendall Jenner, Gigi Hadid, Tyson Beckford and Sean O’Pry. Be the best version of yourself whether it be in school, office or anywhere your feet can take you. You may send us a message here on Facebook or you may visit us at URBANA located at 32 Barlin St. Sta. Cruz, Naga City. You may also reach us through 881-7778, 09164052285 and 09156800862. Regular registration fee is P650. Early bird registration fee is P500. This is inclusive of workshop kit, certificate of participation, snacks and other freebies. Early bird registration is from Nov. 9-18, 2016. See you all on November 27, 2016, 1:00-5:00pm at Bigg’s Magsaysay! Special thanks to our media partner Naga City Guide.